On Tuesdays this semester we're running a series of posts on discipleship by Justin McRoberts. If you've missed the first 6 posts, click the links below to catch up. 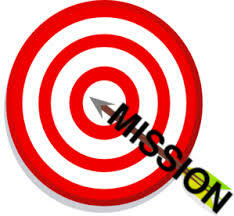 Your “mission,” the thing you do to serve God and people in your life, will likely happen “along the way.” In other words, It can sometimes seem that serving Jesus will mean going to Bible college or Seminary or getting some other kind of special religious training. And that might be true for you; I’ve got some really good friends who are pastors or on Young Life staff. But I also have a lot of friends working in medicine or law or athletics. And each of them, according to their gifts and calling, are right where they are supposed to be. Here’s what I’m after: Don’t worry that you'll have to give up the things you’re best at or the things you most enjoy in order to “do something for Jesus.” He just may have given you those gifts and passions so that you could serve Him in joy and with skill. Perhaps, instead of asking a question like “What am I supposed to do to serve God?” start asking and imagining “What are the things I am best at and love to do most? How might I serve God and love people with these gifts and passions?” The answer to that line of questioning might change over time because you will change over time. And as you do, may you serve God and love people with joy and skill.